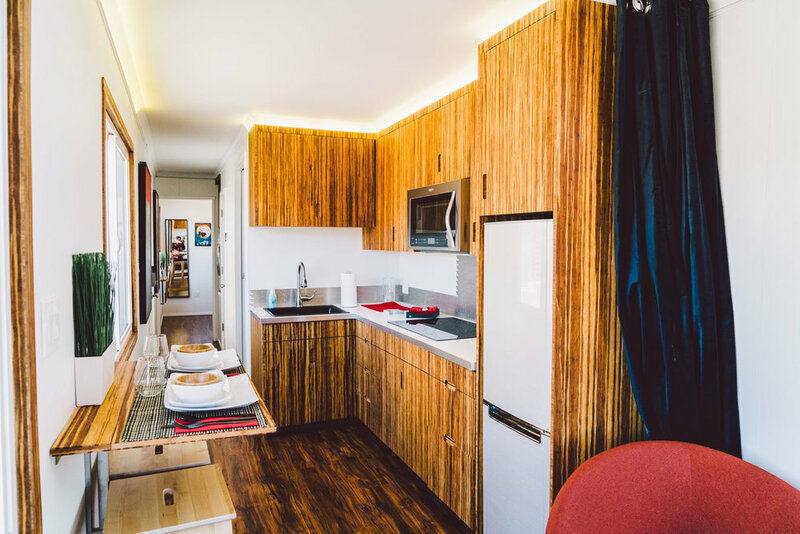 The goal of this project was to create a fully sustainable environment that provides all of the necessary amenities needed to live a comfortable life. Gorilla Design brought us on board to design the solar array, lighting, and energy storage system that would power this new age container home. One of the most critical aspects of this project was portability. The home needed to able to be towed at 75 MPH for delivery and relocation. For us, that meant figuring out a creative solution to avoid having the solar panels from ripping off during towing. Due to the physical size of the container, we were limited on the amount of space available for solar panels. Modifications were made to allow the solar panels to be mounted on the top of the container home. The energy requirements of this home needed to be kept as low as possible for the solar panels to produce enough electricity to power the entire home. We needed to design the highest efficiency lighting and power management system we could.